Was the brutal Battle of Hue the turning point in Vietnam? 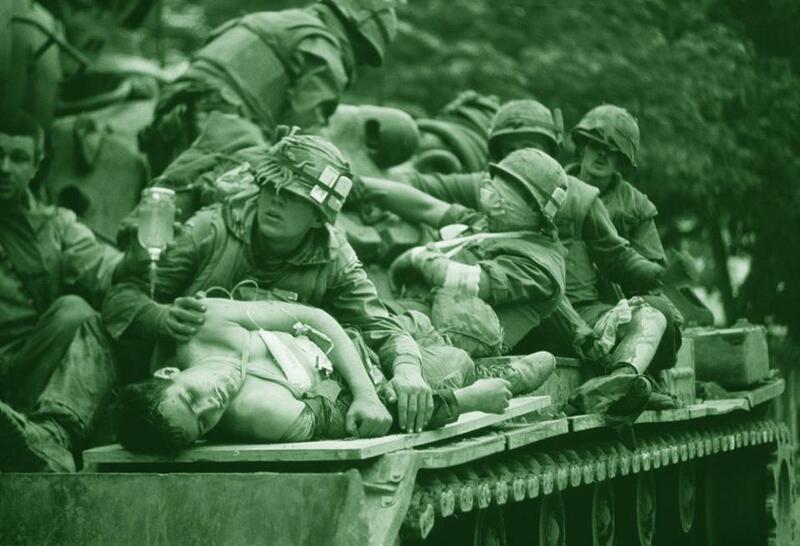 The Battle of Hue in 1968 was a victory in military terms for US forces and their allies, but the ferocious and brutal combat and the horrible images from the battle helped turn a critical mass of Americans against the war. When did the tide of war turn decisively against the United States in Vietnam? The question has nagged at Americans ever since North Vietnamese tanks rumbled into Saigon in 1975, capping three decades of fruitless US efforts to prevent communists from taking over the country. In his latest dazzling book about Americans at war, journalist Mark Bowden proposes a fresh and provocative, if not entirely convincing, answer: The turning point was the 1968 Battle of Hue, the blood-soaked, month-long struggle between US Marines and communist forces for the city where Vietnam’s emperors had once ruled. It’s not that US forces suffered a devastating defeat there. In fact, US troops and their South Vietnamese allies won the fight. Rather, Bowden contends that the exceptionally ferocious combat exposed the futility of the US cause in Vietnam, turning a critical mass of Americans against the war. “The debate was never again about how to win but about how to leave,” he writes. In some ways, it’s a familiar argument. Bowden echoes many historians in pointing out that most Americans remained optimistic about the war in the first years after President Johnson’s 1965 decision to send combat forces to Vietnam. He also affirms old thinking by insisting that opinion changed dramatically because of the Tet Offensive in early 1968. On the night of Jan. 30, communist forces launched a massive assault on more than 100 cities and towns throughout South Vietnam. Named for the Tet holiday marking the lunar new year, the shockingly bold attacks sparked the most intense fighting of the war and convinced many Americans that their country could not win in Vietnam at a reasonable cost. Bowden parts company with other authors by insisting that the battle at Hue — just one of the cities targeted by the communist offensive — played a uniquely critical role in turning the tide of American perception. For one thing, argues Bowden, the battle demonstrated more than any other that the communists remained a potent fighting force despite repeated assurances from American political and military leaders that the enemy was on the ropes. US and South Vietnamese troops took far longer to retake Hue than any other city or town. But mostly, Bowden contends, it was the spectacular brutality of the fighting in Hue, courageously conveyed to Americans by journalists on the front lines, that turned stomachs and changed minds at home. From Jan. 30 to Feb. 25, Marines engaged in house-to-house fighting that turned 80 percent of the once-splendid city into a smoldering hellscape. Two hundred and fifty Americans died, and 1,554 were wounded, while more than 10,000 Vietnamese of various political stripes lost their lives. Bowden’s account of the battle delivers gut punches from start to finish — no surprise given his long resume of vivid military histories, including the 1999 National Book Award finalist “Black Hawk Down.” With scrupulous attention to detail drawn partly from dozens of interviews with American and Vietnamese veterans, Bowden weaves a day-by-day, sometimes minute-by-minute, account of the initial communist takeover of Hue and then, in the book’s most powerful sections, the grueling block-by-block struggle by US Marines to recapture it from an enemy hunkered down in a labyrinth of ruined buildings and debris-strewn streets. Most impressive of all, Bowden deftly blends clear descriptions of complex troop movements with careful attention to the human impact of the fighting. Bowden could have done more to illuminate the experiences of Vietnamese troops and the civilians caught in the crossfire, and he has surprisingly little to say about communist executions of suspected political opponents in Hue, the most controversial aspect of the battle over the years. But he masterfully captures the mix of bravery, fear, cruelty, generosity, and fatalism that swirled among the Americans who never knew where the next bullet would come from. “You could die by lifting your head at the wrong moment, or by taking a step in any direction, or by doing nothing at all,” he writes. Bowden also shines in his skillful condemnation of the decision makers who managed the battle. Above all, Bowden blasts away at General William Westmoreland, the overall commander of US forces in Vietnam. “Westy,” argues Bowden, persistently underestimated the size and strength of the communist force in Hue and helped send dozens of Marines to their deaths in near-suicidal attacks before innovative subordinates — the heroes of Bowden’s book — figured out through “trial and tragically bloody error” how to wage urban warfare. Whether this mix of savagery and ineptitude means, as Bowden would have it, that the Hue battle was pivotal in souring Americans on the war is debatable. Ultimately, the book runs up against a simple problem: It’s impossible to distinguish the effect of the Battle of Hue from the effect of the offensive more broadly. US leaders and ordinary Americans mostly viewed the struggle for Hue as just part of an array of setbacks, and few pointed to the battle as the sole reason to question the overall war effort.